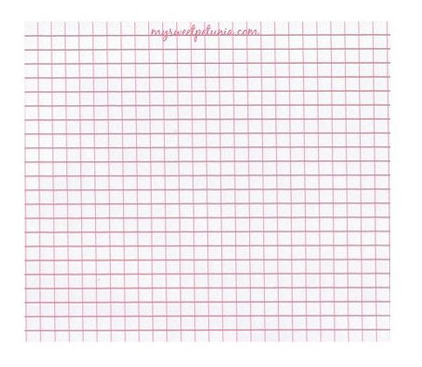 You will have unlimited creative possibilities with the Grid Paper Pad from the MISTI Collection by My Sweet Petunia. This paper pad includes 40 sheets of paper that measures 8.5X6.5" and has 1/4" grid lines. The sheets are printed on 50 lb. paper.